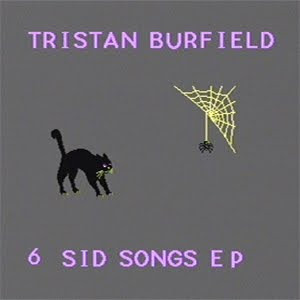 The soft synth sounds of the Sid chip are yours to behold thanks to Tristan Burfield and his new release, the 6 Sid Songs EP. As indicated, the album has six songs straight from the Commodore 64, all short and soothing. The album clocks in at under ten minutes, and is available for free download from Monkey Loves Records. "6 Sid Songs" was composed using only sounds from vintage commodore 64 chips, no sampling or audio overdubs were used. Through positively refusing emulation and embracing the creative limitations of antique technology, I created surprisingly rich and powerful sounds through a modern repurposing of discarded consumer hardware.